Ron Clark Academy held its eighth-graduation ceremony Thursday evening at the Cobb Energy Performing Arts Centre. For the RCA 8th graders, the evening culminates four years of growing not only academically, but learning important lessons in manners and respect. One goal is to help them prepare for their future in the workplace. Among the techniques they use is a day they call "The Amazing Shake," which will help them conquer the work world. The idea is that a proper greeting is essential to a good first impression. The whirlwind competition stops at six different business locations to see which students had the best etiquette and perfect handshake. The day started with 108 RCA students introducing themselves and making small talk with 55 executives who visited the school. By round two, the group is whittled down to just 24 winners who compete at the law firm of Alston & Bird by working the room to show their skills at a social mixer. For round three, 14 students stopped by the 11Alive Studios. They didn't know what to expect, but the staff led them through answering questions by education reporter Donna Lowry, then reading news copy on the TelePrompter. 11Alive employees chose the top 8 out of the 14. For round four, more meets and greets for eight students at the law firm Kilpatrick, Townsend and Stockton. They visited Coca Cola headquarters for round five and had to sit down for interviews by three RCA alumni in round six. For the final round, the two remaining contestants, Jacob Suever and Mariah Cooper, had dinner with V103 Radio's Ryan Cameron. In the end, he chose Mariah as the winner. Her prize was a basket of goodies that included an Apple iPad. But, the truly amazing thing about the Amazing Shake came next, when Mariah unselfishly gave the iPad to runner-up Jacob. 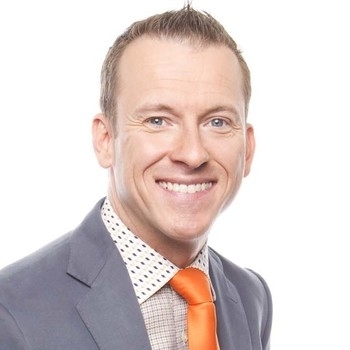 To Book Ron Clark for your next event, go to: http://PremiereSpeakers.com/Ron_Clark.